Henryetta teachers Rusty and Kathy Snyder and Alan Montgomery brought the battle for more school funding to US 75 Thursday morning. 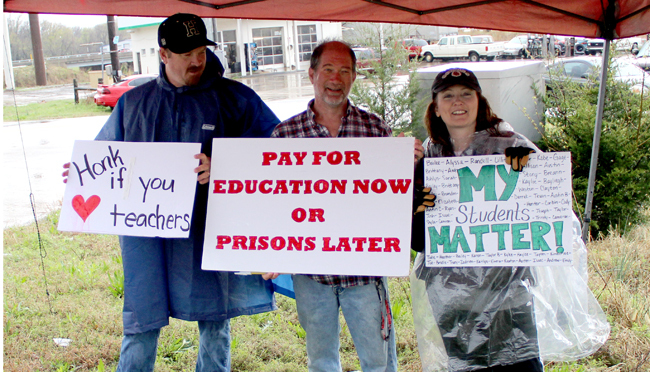 They, along with other local teachers manned the corner of East Trudgeon and US 75 throughout the day urging passing motorists to get involved in the quest for schools to receive enough money to educate students. While they were busy here, other Henryetta teachers were back in Oklahoma City joining thousands of their counterparts in the week-long rally.